We have been working with Rays of Hope on developing a Camphill Masterplan to grow into a Centre of Ecological Excellence. This has already been of huge assistance in helping us focus our energy and direction. 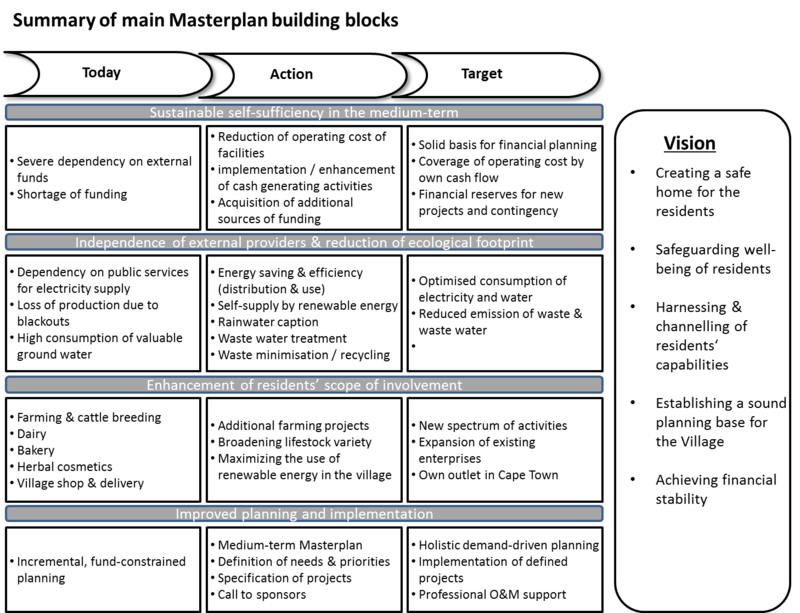 For a detailed outline of the whole development plan from Rays of Hope, see below. In the short term we have managed to find funding for a new borehole, as well as the pipeline to our water tower, which will help to unlock the water required to set much of this into motion. Looking forwards, we have broken the large master plan into about 100 bite-sized projects, which will really help us take strides forward in our quest for sustainability, and are looking into various ways of finding funding for these, including crowd funding. Rays of Hope (RoH) is a German NPO actively engaged in socio-ecological projects in South Africa since 2002. 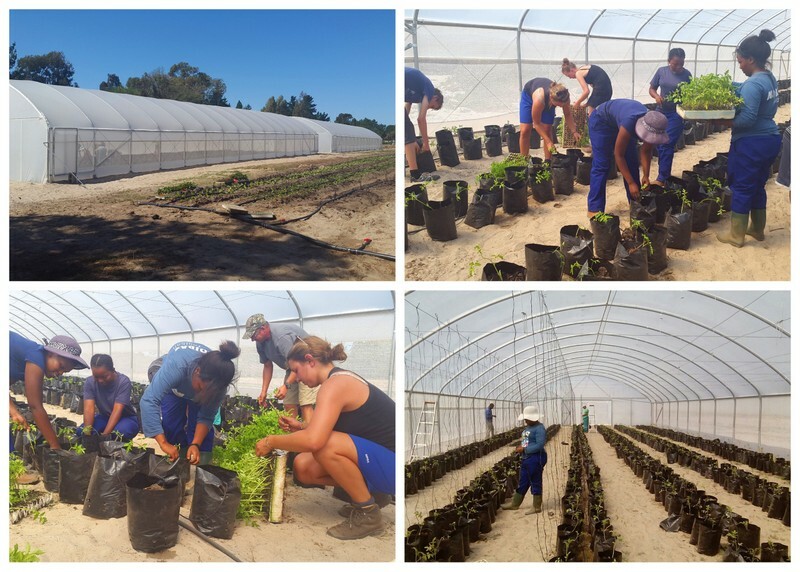 We recognize that Camphill Village West Coast (CVWC) is thoroughly managed, well qualified and experienced in social development, training and different farming and cottage industry practices and that secure administration systems are in place. We therefore fully support CVWC in its quest for securing a self-sustained future and towards this objective has implemented projects such as the 60 kWp PV solar plant or the two farming tunnels. RoH and CVWC have closely cooperated since 2012 and jointly form the drivers of a dedicated program, which - in the mid-term with a time horizon of 5 to 8 years - targets to make CVWC the Camphill Ecological Center of Excellence (CECE) based on socio-ecological principals and performance by enhancing and distilling the expertise gained over the past 50 years. CVWC will serve as a living model for low carbon footprint operation as well as for food security and sustainable land use. 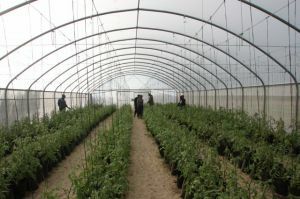 CECE will be based on technological development but also harness knowhow collected in the region in the past aligning itself with the objectives of the agricultural sector as set out in the Framework for the Development of the Western Cape. This introductory presentation will be followed by more detailed descriptions of the specific topics and activities. CECE depends on external (private or corporate) support in the funding of each of the identified projects and welcomes any donor assistance towards their realization.